FM is proud to present the work of artist Tim L. Schafer. RÍÐA FJALL will be FM’s first feature solo show and also Tim’s farewell before he is off to Europe for a summer residency. 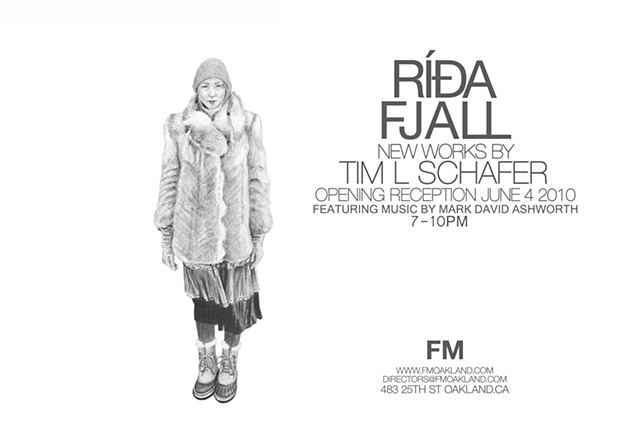 The evening will also include performances by the Oakland Soft Rock Choir and Mark David Ashworth and, as before, the open studios of FM artists.